Awhile ago, I was browsing through blogs when I saw Bongqiuqiu and Peishi blog about the Blink mints. I get it if this was a professional advertisement shoot, then changing outfits is normal. But I believe that this was just the advertisers sending them the product, and asking them to blog about it.. at home. Seriously. Wow. I would be too lazy to even change my underwear once. Anyways, I happened to chance upon these mints while looking for chocolates to buy in Watsons, so I bought 2 of the most appealing flavors: Mango-Passionfruit and Peach-Berry. How many evilbeans will I give them? Will Peishi's and Qiuqiu's face save them? YEAAAP. I no longer brush my teeth. Everyday when I wake up, I just pop a couple of mints and then I am all ready to head out! How convenient is that?!?! Friends sometimes even remark: "Wow, your breath has a really unique smell! ", and this is all thanks to my no-brushing-needed regime! "YES! You can wear them as your bracelet! SO PRETTAAY!" "You can also wear it as a super bling necklace!" You know, the best mints are always the strongest. But, how do we know which mint is the stronger one? 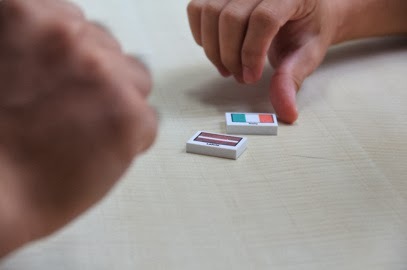 You know how we used to play this? Well, the winner of the MINTS WAR will be determined through this! BLINK emerged as the winner! 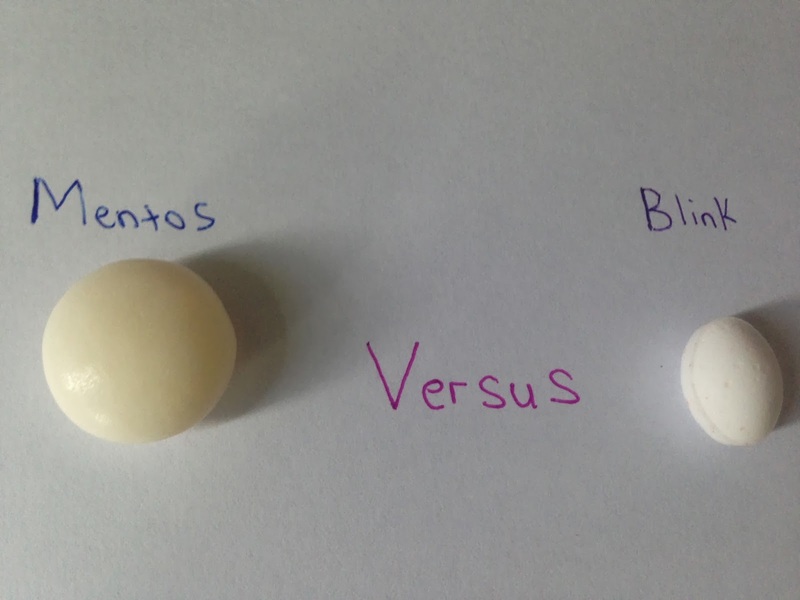 Congratulations Blink for winning the MINTS WAR 2014! Anyways taste-wise, it is really really intense, which is good because it really freshens your breath with the flavours. It has no hint of mint as well, which is another plus point because I do not like super minty sweets (eg. Fisherman's friend). As mentioned by Qiuqiu, the flavour is also not so artificial that they taste bad, in fact, they taste pretty good! The flavours that I bought, mango-passion and peach-berry taste awesome. Based on these 2 flavours, the talking Evilbean gives Blink mints..
A light-hearted, laugh out loud post for you, who is reading now on this joyous joyous CNY! Wishing you 新年快乐， 龙马精神 and most of all, 心想事成 to you on this horse year!